Hello, I saw this amazing idea of using salt as an 'ingredient' in nail art. It's fun! 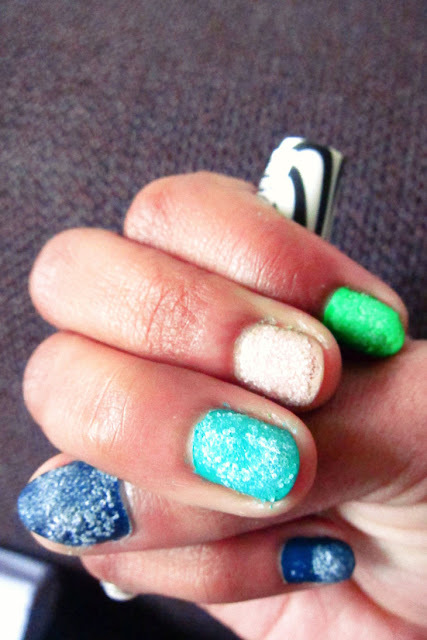 You just have to start with layer of nail polish and just sprinkle salt on the wet nail polish. I had applied top coat too, so salt won't fall out. I will try this out one more time maybe with more cool colors and more perfection.